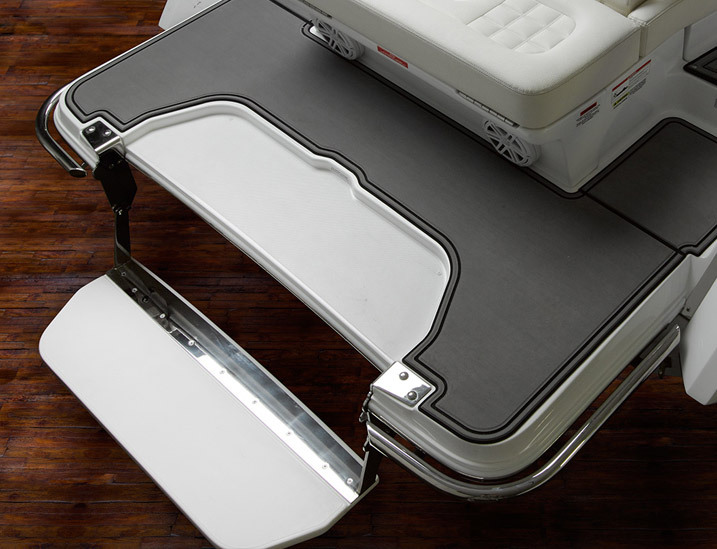 Our uncompromising quality and innovative concepts go far beyond our boats’ core. 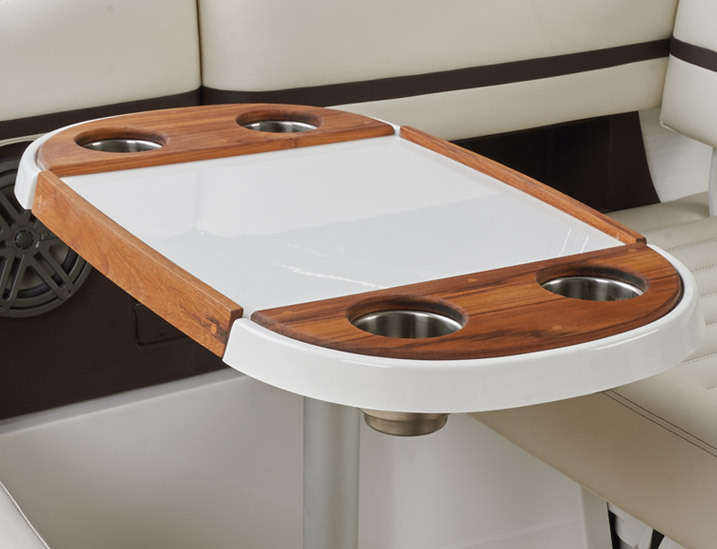 Enjoy the entire boating experience with an array of optional equipment and lifestyle accessories designed to give you everything you need for the way you live your life. Your Cobalt dealer can assist you with a selection of Cobalt factory original options that can be installed on your late model Cobalt. And while you’re outfitting your boat for the season, take care of the crew with lifestyle sportswear and accessories, available online anytime at CobaltSports.com. The Cobalt Swim Step is effortless in its deployment, allowing easy and safe access in our out of the water. See your dealer about an upgrade kit for your current Cobalt model. Dress up your swim platform with the Sof-Trac Traction Mat. 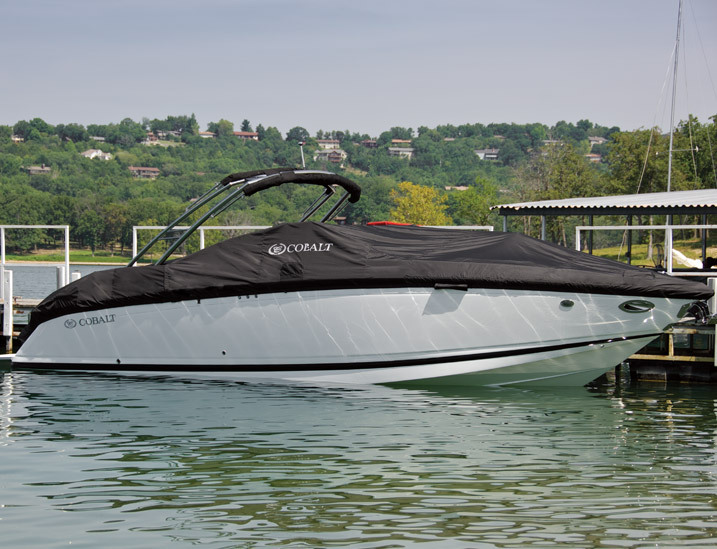 Gentle on swimsuits and wakeboards, you’ll maintain traction even when wet. Kits are available in sand or grey for most current Cobalt models with or without the Swim Step. See your dealer for details. A stylish, modern upgrade to traditional carpet, the Sea Grass Floor Covering is durable even in harsh summertime environments and feels great under bare feet. 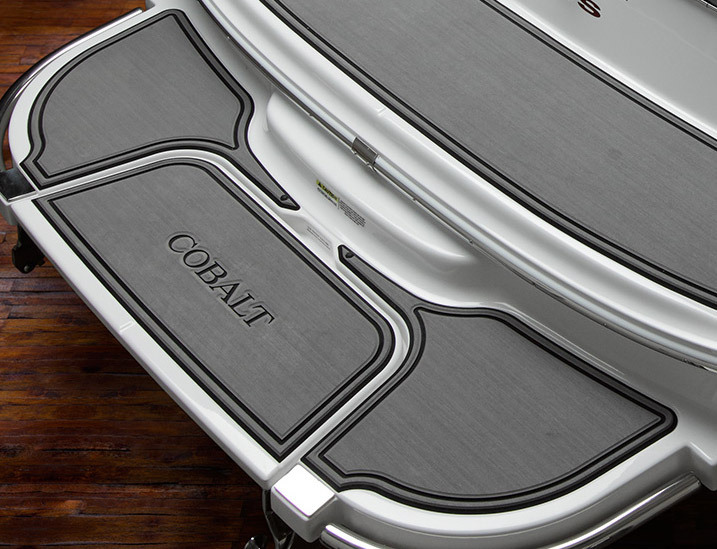 Available for all current Cobalt models from your Cobalt dealer. It’s time to move the party out back. All the conveniences of the revered Cobalt cockpit table have moved aft. Get the stainless steel table post for mounting the cockpit table at the rear of the sun pad at your Cobalt dealer. The Cobalt stainless steel fender clips are a quick-mount fitting system installed in the deck at the perfect fender positions. That way, lines are always set to optimum length. When docking, simply insert the pin into the fitting and you’re done. Get yours installed at your area Cobalt dealer. Proudly display your flag in traditional boating style with this highly polished stainless steel flagpole and quarter-turn twist locking deck-mount. 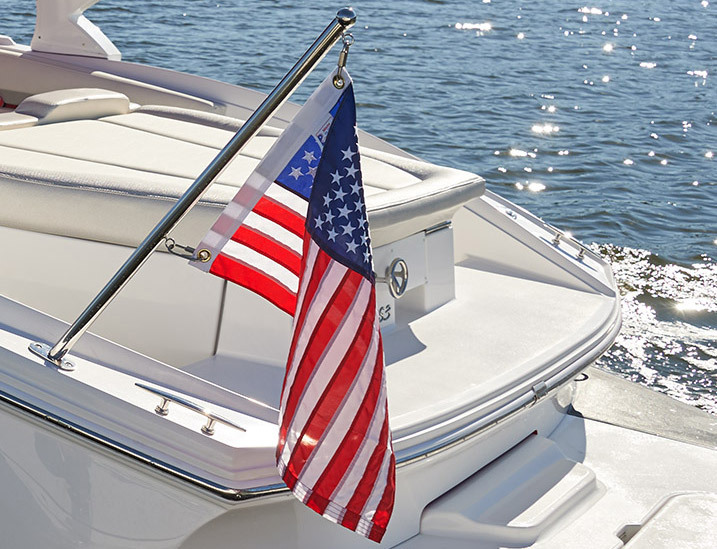 The pole is the ideal length for the deck of your boat and will accommodate a standard 15″ flag. U.S.A. flag is included. Contact your Cobalt dealer. 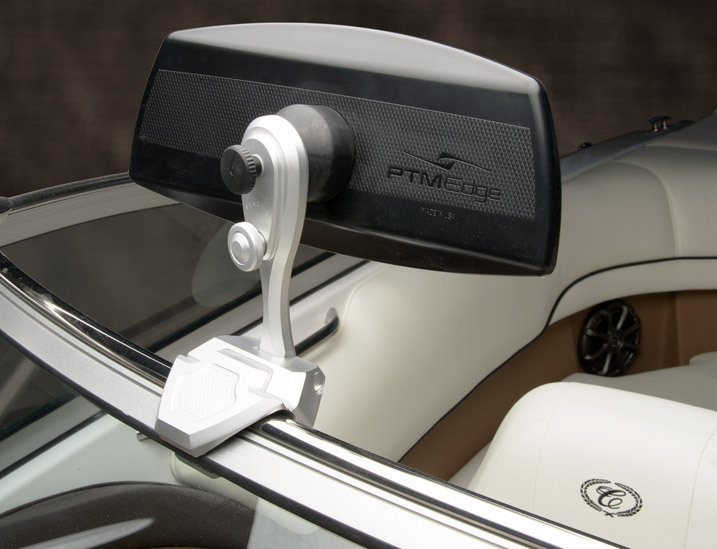 Keep an eye on the water sports activity behind you with our windshield-mounted driver’s rearview mirror. The clamp-on design is solid and secure, yet easily removed. A single tension knob will loosen the clamp and arm articulation for adjustment, then simply position and lock everything down. Available from your area Cobalt dealer. 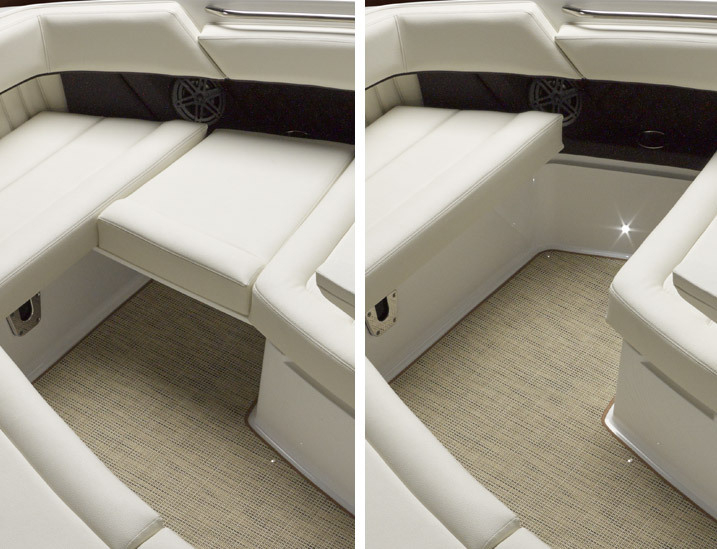 Create more lounge area in the bow and transom seating with Cobalt factory-made filler cushions. 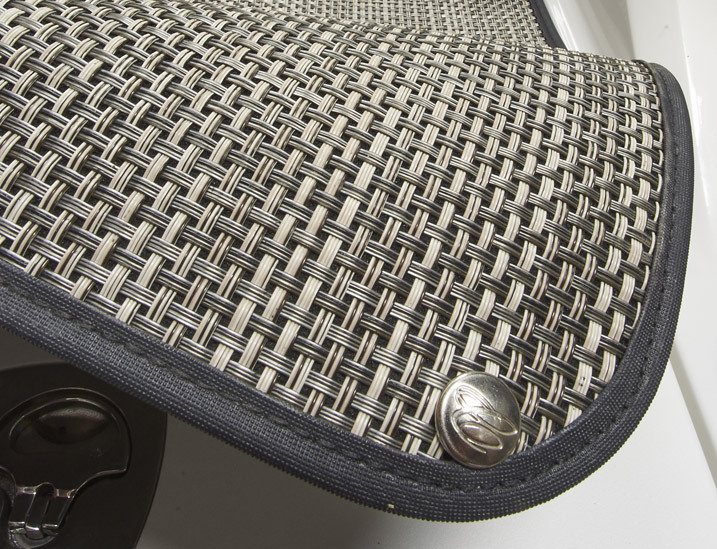 As with all Cobalt seat cushions, you get total composite seat-base construction. Styles vary depending on your model of Cobalt. See your dealer for details. 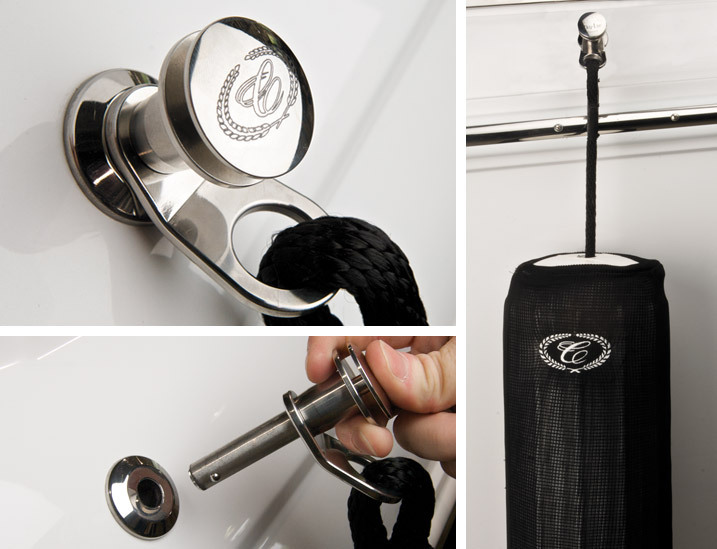 Protect the interior of your boat from the elements with our sturdy mooring cover. A ratchet-strap in the perimeter drawstring pocket ensures a tight secure fit, and high-tech fabric repels water while allowing the interior to breathe. Telescoping tent-pole supports are included. Available for your late model boat from you area Cobalt dealer. 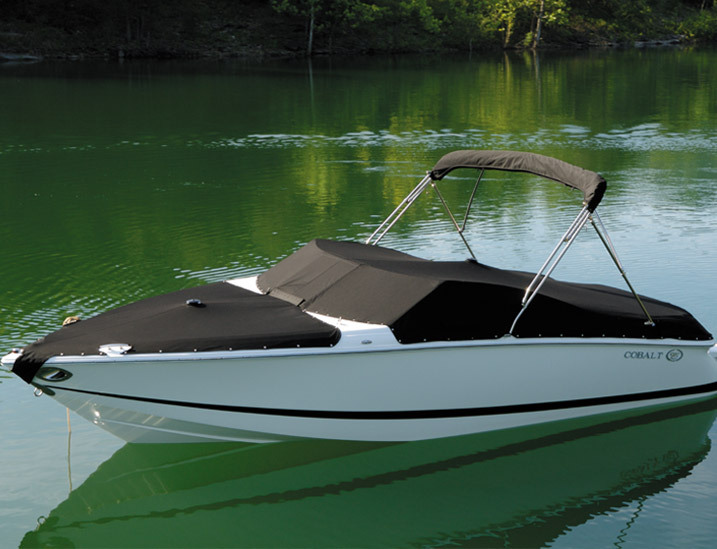 Get custom-fitted protection with the same Sunbrella™ canvas as your Bimini top, and get it color-matched to your boat. Tough, durable, yet breathable, a custom snap-down fit and telescoping pole allow for sloped water run-off. Plus, the unique Cobalt bow-hood design remains secure during highway trailering. Cobalt dealer installed.